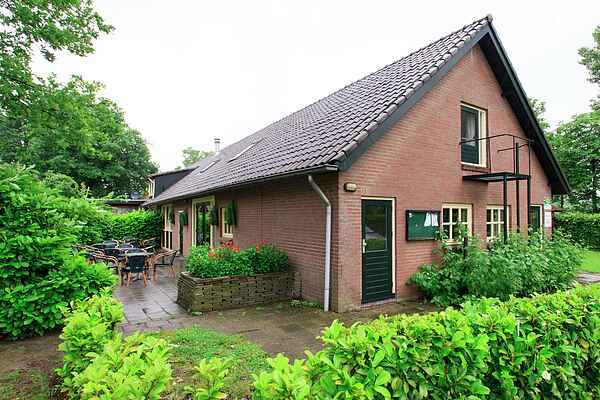 On a distant location and close to the woods is situated this part of a farm (210 m2) with a beautiful view. Next to this cosy farm is a mini-camping with a playground. The wooded surroundings offer: beautiful bicycle- and hiking tours, horse riding, swimming and bowling. The nature of the contryside and the calm of the camping can not be disturbed. Especially our good neighbours and the guests of the camping. Remember that when you are outside the building, noise will sound louder. Between 23.00 hour and 8.00 hour, we expect it to be quiet at the outside of the building.